While the name John R. Leonetti is probably a familiar one to only the most avid horror fans his body of work is certainly a familiar one for even the most casual of movie goers. Leontetti has worked as a cinematographer for such respected titles as Tales from the Crypt, Insidious, and the Conjuring. Outside of the horror genre he’s amassed an interesting body of work as well from The Mask, to Mortal Kombat, to Joe Dirt. In addition to cinematography Leonetti has been an occasional director. Unfortunately Leonetti’s resume as a director has been less impressive than his other work. While he has Annabelle to his credit which was at least well enough received to garner a sequel his other directorial work is regarded rather poorly. Leonetti’s directorial debut certainly was a rough one with Mortal Kombat Annihilation. While not likely Leonetti’s fault the films poor reception basically killed the film franchise. His second release Butterfly Effect 2 also has few admirers. © 2017 Broad Green Pictures − All right reserved. 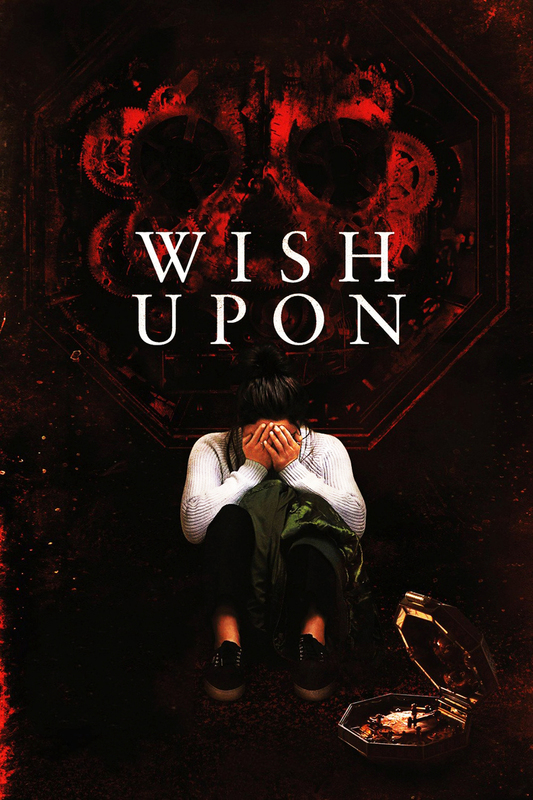 Thus far Wish Upon seems to also be a black mark against him holding poor ratings on sites like Rotten Tomatoes. This is kind of a shame though while far from ground breaking Wish Upon is definitely a fun little movie. The films team managed to create a work that while reminiscent of plenty of other horror movies is still somewhat fresh. For any who have not caught the trailer the film tells the story of a high school age girl who is given a Chinese wishing box. As with the monkey’s paw of course the granting of these wishes comes with a price and if not properly worded they may be granted with something of a twist. 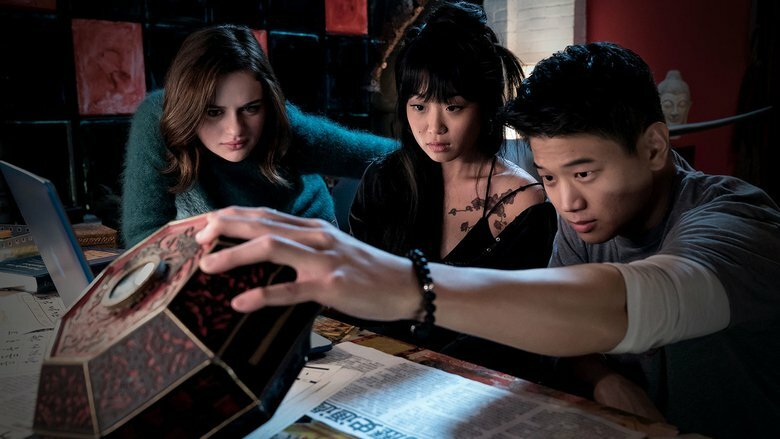 As the teen blows through the seven wishes awarded by the box viewers are treated to something of a Final Destination type sequence of events as the supporting cast is picked off one by one. It is in these scenes where the director really shines as the kills are framed so that viewers are on the edge of their seat waiting for the tension to end. Memorable sequences include one with a garbage disposal and another in which death seems to stalk two characters simultaneously forcing the audience to wonder which of the two will slip up first. The writing is not bad either with the characters being entertaining and believable enough. The teens are a bit annoying particularly the main character who resents her father for supporting them through antiquing and digging through rich peoples trash rather than finding traditional employment. Annoying teens are of course to be expected in PG 13 horror. These teens are at least less annoying then most. Fans of the Netflix hit Stranger Things may also be amused to see Shannon Purser better known as Barb portray the voice of reason among the teen characters. The film culminates with the teen trying to wish her way out of the mess caused by the monkey’s paw nature of the box and one can likely imagine how well that turns out. All in all if one is say a fan of the Final Destination series and the addition of some Mean Girls type teens doesn’t sound too unbearable you may have some fun with this one. If you are a seasoned horror fan it’s unlikely to get to many scares out of you but it may get a few jumps out of the casual fan. If one is also the type to pull for the underdog Leontetti would probably appreciate you making a trip to catch this one in theaters. While not a future horror classic by any stretch of the imagination it is far more entertaining than the poor scores it has mostly received would lead you to believe.